Mr. Anil Verma is the Chief Technical Officer of MainOne. He has over 25 years of experience with Service Providers and Equipment manufacturers in telecommunication industry. He comes with a rich experience in Network Planning, Network Engineering and Operations. 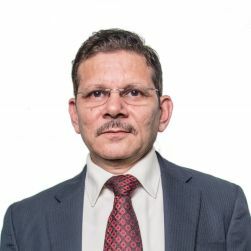 Anil has had held various senior level positions with Mobile Operators (Aircel and Reliance) and manufacturers having collaborations with Nortel and Fujitsu in India. He started his carrier with Indian Space Research Organization and holds a bachelor’s degree in Electronics.